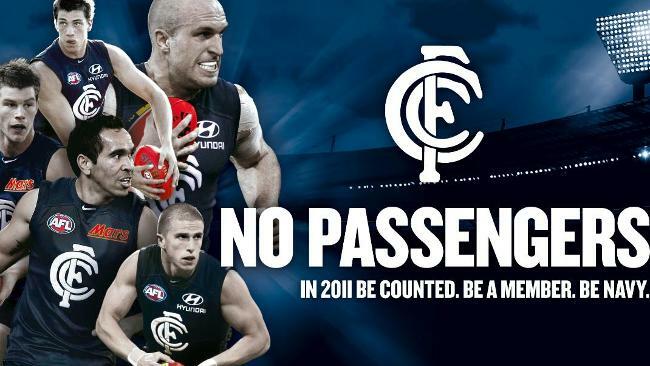 At the beginning of season 2011, Carlton were built up as a side that once again would be making up the numbers come September. Yet jump ahead to July and the Blues must have missed the memo, with only 3 losses to their name. For the third year in succession, the Blues took on Richmond in round 1 and once again inflicted a big loss on the Tigers. In round 2 they became the Gold Coast Suns first opponents, taking the new boys to the sword with an 120 point thumping. In their next two outings, Collingwood gave Carlton their first loss for the year followed by a tightly contested draw with Essendon. A reasonably solid start to the year for the Blues after the first month, however then they managed to hit fine form, winning 7 out of their next 8 games, only going down to Geelong in round 9 by two points. Big wins in the next month over Melbourne, Port Adelaide, Brisbane and Sydney (for the first time in 21 years at the SCG) all helped to boost the Blues position on the League ladder, yet after consolidating their position, the loss last weekend to West Coast at Paterson’s Stadium would have come as a shock to many, with the Blues going down by 36 points. They immediately bounced back though and Richmond were once again on the bank end of a big defeat at the hands of the Blues, going down by 103 points as they ran wild in the second half, kicking 17 goals with their midfield looking as controlling as ever. Brett Ratten must have been pleased watching Kruezer palm down to Judd and Jamieson, as all three players have hit straps in the past month of football. Carlton have set themselves up to charge home at a Top 4 birth, with 5 of their last 8 games being against sides currently outside of the Top 8. They also only travel outside Victoria once more for the season, in round 21 when they take on Fremantle at Patersons Stadium. A Bye in round 23 will prove to be a handy break before their final home and away game against St Kilda. Going Forward: Expect to see the Blues go deep into September in 2011. They have managed Elimination Final births in their last three seasons and this year is the one for them to take the next step. They will secure a double chance, most likely taking on Geelong… If they lose they secure a home final, possibly against one of the interstate sides (Fremantle/Sydney Swans) giving them the chance to push for a Preliminary Final and from there, anything can happen in the 2 most important games of the year. Looking ahead to next year, the Blues midfield is set in stone and with Kruezer back, they boast one of the best Ruck combinations in the competition. In addition to this, the rest of the centre line accompanies just as well. Judd is once again in Brownlow form and you can expect him to lead from the front for years to come. The Forward line was a big talking point over the summer, yet Carlton have proven that even without a ‘Key’ Forward, they can still kick winning scores. Despite this, they have found a key target in Walker, who has many years up forward to become the next big thing in the League. Backline deficiencies haven’t become an issue for the Blues, although it seems to be more of a management and match up issue rather than the lack of playing stocks to tackle opposition Forwards. Brett Ratten needs to make the most of their run off the Half-back line which has been crucial for success over the last few seasons. Continuing to pick up running types who can play that quarter back role will ensure their game style, which for all football fans is exciting, is here to stay. Over the next few weeks Dyson Baker will take a look at how every club has fared this year, exactly where every club is at in terms of development and of course how far away each club is from Premiership success. The Crows lost over 700 games of experience at the end of season 2010, although their average age didn’t change at all. In fact, this year’s line-up of players has a higher average age than the side that took to the park in round 22 last year. Adelaide have struggled for form this season, starting 2011 with a huge win against contender’s Hawthorn they then lost their next three including a round 4 Showdown loss to Port Adelaide by 32 points. 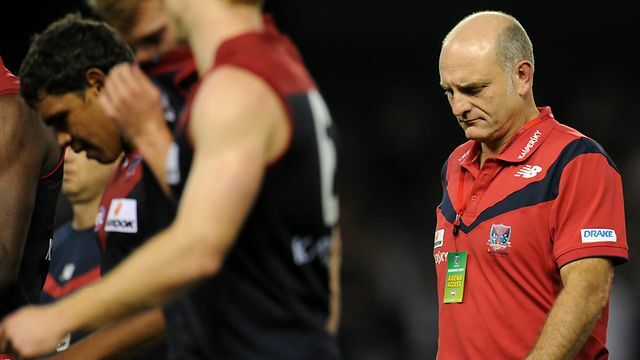 In the next month Adelaide proved that consistency was an issue with a win against St Kilda at home being followed by a humiliating round 7 loss to Melbourne by 90 points where the Demons kicked 14 goals to 3 in the second half. 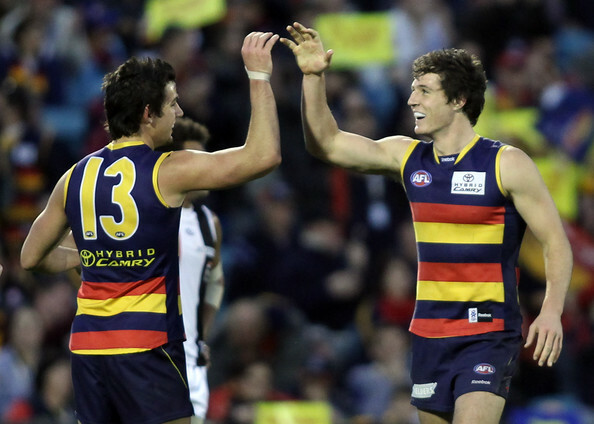 In Round 8 the crows played host to the Suns who would have been confident taking points from their first venture to Football Park, but Adelaide showed fight after trailing at the first change to win by 57 points. Since then the Crows have only been able to record losses on their record. Pushing Collingwood, Brisbane and North Melbourne for three quarters the sides inability to run out games was on show as they had 16 goals kicked against them, to their 8 in a three match stretch. Since then Neil Craig’s men have struggled to challenge with losses to West Coast, The Western Bulldogs and last week’s big defeat at the hands of the top of the table Cats by 52 points. Only twice, this year have Adelaide scored more than 100 points, in round 1 in their victory over Hawthorn when Taylor Walker booted 4 and in round 8 when the Crows defeated the Suns, kicking their highest total for the year to date. Dangerfield kicked 6 on that occasion. Going Forward: Adelaide need to turn to youth from now on and they need to realistically determine whether players like Michael Doughty, Graham Johncock, Ben Rutten and Scott Thompson will be around when the club wins its next premiership. All of these players are 28 or older and would have no more than 5 years left in them. To Adelaide’s credit they have begun to call on the youth in their side, the next crop of leaders, players like Dangerfield, Tippett, Henderson and Otten who have all showed their abilities and all are in the 22-24 age bracket. Adelaide is in need of a secondary ruckman who can take the place of Kurt Tippett to free him forward. We have seen Tippett become a game changer when he goes forward and he could potentially become their key to success. Look for Adelaide to rebuild over the next 4-5 years, possibly playing finals again in 3 years. The depth of their younger brigade is there, they just lack the overall maturity of their players to be able to win games of football. 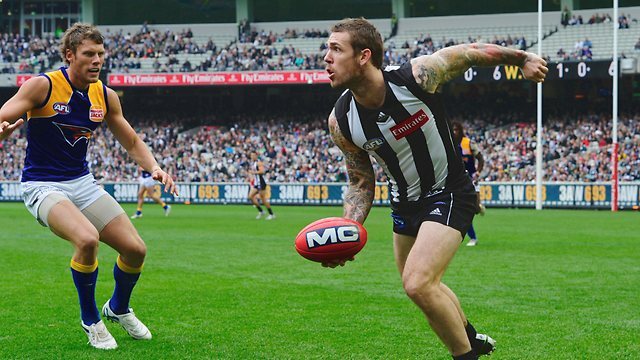 Dane Swan – In need of a reality check. Collingwood midfielder Dane Swan has once again found himself in the media spotlight after yet another rant on Twitter in relation to the AFL’s Drug Testing Policy. Swan’s latest rant, his third in under a fortnight, has left many football fans bemused and concerned that he doesn’t fully understand the importance of the AFL’s drug testing procedures. Firstly, the AFL have the responsibility to fans, critics and players alike to ensure the integrity of the game is upheld and one way they achieve this is through their drug-testing regime. The reasoning behind the AFL doing a series of tests in a short period of time is to ensure they can compile blood profiles on players, the cutting edge blood testing technique. To compile these profiles, they compare a player against his own norm rather than against a broader average. Secondly, Swan claims that a test at 6am will ruin his whole day… Excuse me? If Swan was tested at midday and consequently couldn’t make plans before or after the testing, that might in fact ruin his day, however when tested at 6am, it’s quite the opposite as he has the whole day ahead to make plans. It is also worth keeping in mind that it was just under three months ago when Swan signed a new deal with Collingwood, which will see his playing career secured until at least the end of the 2014 season. On top of this, Swan is set to earn in excess of $700,000 annually, equating to just under $3 million of guaranteed income. Some of society’s lowest paying and physically gruelling jobs, such as those seen in the cleaning or hospitality industries, require employees to work at all hours, be it early morning or late at night. The annual income for these members of the community is less than $35000, one twentieth of Swan’s. Put simply, Dane Swan earns more money in one year for playing a game he loves, than many of Australia’s hardest workers do in twenty years. For Swan to complain about a few early morning trips to the toilet is nothing more than selfish and downright disrespectful. State of Origin – Redraw the Battle Lines. With Rugby League in the midst of Origin fever, Queensland and New South Wales fans are set to pack out ANZ Stadium. But is it time for the AFL to once again go back to State Of Origin. The last time that Football fans experienced State Of Origin Games was back in 1999 when Victoria defeated South Australia by 54 points in the middle of May in front of over 26,000 people. The AFL did let its guard down in 2008 for the AFL Hall Of Fame Tribute Game. It took months of debate and the question was thrown up on talk back stations around the State, and around the Country. Eventually on the 10th of May 2008 the “Big V” Side captained by Jonathon Brown Took on Andrew McLeod’s “Dream Team” made up of players from the Rest of Australia, in the same way as the Allies back in the early ‘90s. In 2011 we have State Leagues playing State of Origin Games, yet their National League counterparts are unfortunately missing the boat when it comes to representative football. In a National Sport which hasn’t made it big around the world, State representative football is the pinnacle of our sport. Our international rules competition with Ireland is a National Side, although the importance of the game is clearly lacking. The game is a hybrid and is offered to a wide range of players, not just the best for that year, or the All Australian team for the year just gone, in short is note just offered to the 20 best players in the League. Some of the best battles in Australian sport have been between states in Australia, NSW and QLD in Rugby League, VIC vs NSW in Cricket and WA vs SA. The General sporting public would rather support a Victorian side than a Melbourne side; it embarks once again on these rivalries and makes every contest watched by more. State Of Origin would have to be a Victorian based event, in that Victoria would have to play in every match, their opponents… Allies/ Dream Team concept – The “Big V” would play against a side made up of the best players in the league born outside of Victoria. This idea promotes the game as more of a once of game that, as we saw in 2008 would bring 70,000 people through the gates, but wouldn’t demonstrate that State vs State Battle. Vs. South Australia – The obvious choice, the Victoria and South Australia battle has been the most prominent in Australian Rules football and would be a perfect once or twice a year once in Melbourne and once in Adelaide. The idea promotes state football the way it used to be. Vs. SA, WA and Allies – Back in the mid 90’s State Football has Victoria playing South Australia, Western Australia and an Allies team (NSW/ACT, QLD) where Victoria would play South Australia in Melbourne one year then the next would play Western Australia in Perth, then the Allies in Melbourne and so on with the other sides playing each other. Whichever way the AFL decide to go it needs to remain consistent over time and also be able to pull crowds upwards of 40,000. The problem in the past is that the VFL/AFL have tried to change the system too much, from WA vs Vic we have had Australian Carnivals, Allies the list goes on but in order to bring Origin back with force the AFL need to be smart about their decision. After that a Round Robin played year by year with teams playing home and away. State of Origin isn’t far away, a popular money-maker for the AFL and the chance to represent your State on the big stage once again. I was only young but will never forget being at the MCG when Ted Whitten was driven around the ground before the Big V smashed South Australia. State of Origin creates once again a battle field between states. Draw the Battle lines once again! There are many fortunate clubs in the AFL. Clubs who have been successful over many years, winning premierships, getting big crowds to games, and off field operating profitably. However, one’s success always means another’s failure. There are two clubs who have been around for a long time, yet only enjoyed the ultimate success on one occasion each. These clubs being St Kilda and the Western Bulldogs. 4 Grand Finals, and 3 Preliminary Finals. And couldn’t win any of them! So we ask why? Why are St Kilda making it to at least the secondlast week of the season on a consistent basis, but not winning any premierships? In 1925, Footscray Football Club entered the VFL. Since then, they have made it through to the Grand Final on 2 occasions, and along with the Saints, they have only the one premiership. Their only flag coming in 1954. 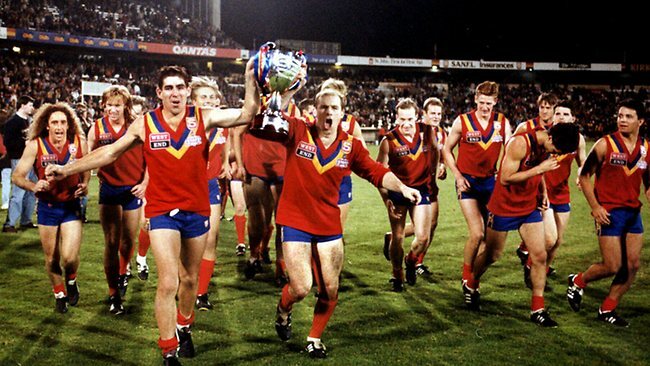 The Bulldogs had a close call in 1989 when they almost merged with Fitzroy. Footscray has always been a battling suburb, and with the ever-increasing costs in football, the club has found it hard to secure sponsors, members and supporters. After surviving the merger scare, the club started to improve in the 90s. The club changed its name from Footscray to the Western Bulldogs at the end of the 1996 season, and with this started an on-field resurgence. After 5 Preliminary Final losses in 14 seasons, the football world must start to wonder if the doggies will ever make it to another Grand Final! Some may say, “At least we made it that far,” or they may think that making it to a Preliminary or Grand Final is successful. Perhaps it is that attitude that is the reason they can’t get over the line at the business end of the season. So what’s the solution? Where to now for these two struggling clubs? Will they just keep losing every year when it counts? Or will something click into place and give the battlers of the competition some success? The season is over for both clubs. I don’t think either team will make the finals, after making the top 4 in the last 3 seasons. I think it’s time for change at both clubs. Both coaches have been at the helm for some time, and as Geelong have proven this season, a fresh face, with a different structure, can rejuvenate a team, and give them the mental edge when the going gets tough. All is not lost. The Cats were also in a premiership drought for many years. Coming so close on many occasions without achieving the ultimate success. Both St Kilda and the Western Bulldogs need to have a close look at how things turned around at Kardinia Park. There is always luck when it comes to winning premierships. Form, injuries, and everything else must fall into place at the right time. There is no harder task in footy than to go all the way and win on that last Saturday of the season. It requires a mental edge over your opponents, a winning game plan, and most importantly, a champion team. So when it comes to St Kilda and the Western Bulldogs, the problem isn’t the lack of champion players, the problem is the lack of a champion team. A history that has been unsuccessful, and a future that is uncertain.